Among the several fields seeing major innovation in design, health technology is perhaps the one that is poised to change our lives the most. Health tech is a wide open space for designers to tackle new challenges. There’s a great opportunity to create genre-defining products, as big medical institutions are required to take creativity to the next level. Many of the products that are designed to shape the future of our health focus around prevention, while others are focused on patient care, either by helping people manage their own pre-existing conditions or by helping doctors diagnose and monitor recovery. Here’s a look at some of the current trends in health tech, and where the future is headed. When it comes to preventive health, the most prevalent products on the market today come in the form of sensors and trackers. 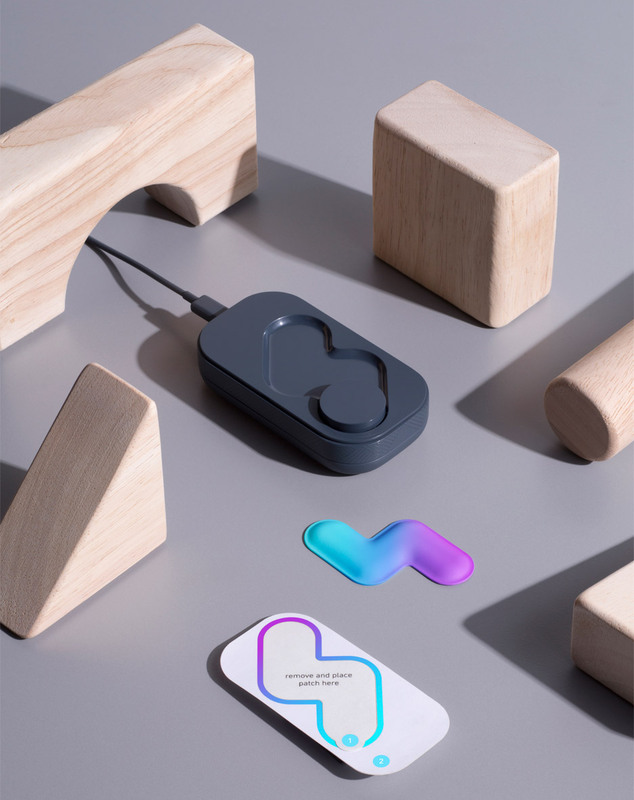 These connected devices provide various personal health data in the hopes that people will make lifestyle changes to improve their overall health and well-being. Wearables today aim to collect more accurate data while providing a stylish (or invisible) form factor. OMsignal’s OMbra accomplishes both: The actual cloth of the sports bra has conductive elements that allow it to connect to the tracker and provide the most accurate results due to the placement around the ribcage. A woman could wear it under her shirt all day and no one would be the wiser. Other shrinking and stylizing form factors include the Motiv Ring, the bellabeat Leaf and FitBit’s designer collections. The future will see these “devices” becoming even smaller, fully waterproof and virtually unnoticed -- think biometric tattoos like the mc10 BioStampRC. Additionally, we’ll see converging features into a single, flexible tool. Currently, products exist for tracking far ranging functions, from body fat (InBody Band) to UV exposure (June by Netamo) to fertility (Ava bracelet). Imagine one stylish (or invisible) device that could provide all the data needed to help a person reach his or her health goals. Another challenge designers may have a hand in tackling: How do you make all of this information more meaningful to the users and inspire lifestyle changes? Are there design elements that can make wearables more functional? Major innovation is also underway in the area of condition management and patient care, which includes products that help people manage existing health conditions and devices that can diagnose conditions as well as monitor patient recovery. Design currently focuses on making these devices as non-invasive and as “non-medical” as possible. Insuline InsuPad by New Deal Design is a tool that aims to help diabetics more effectively manage their own care. 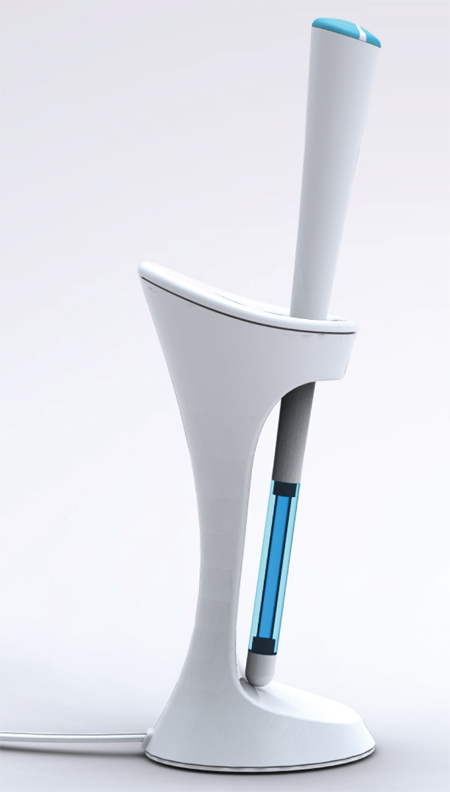 The device takes its inspiration from consumer electronics, with a design that is more “wearable” than medical device. Namely, it’s user-friendly and discrete. Even better, since it provides continuous warming for the insulin, it increases uptake by about 50% and decreases overall insulin usage by about 30%. Another one by New Deal Design is Fever Scout, which is a rechargeable, reusable wearable allowing parents to continuously monitor the temperature of their young children when they’re sick. The thermometer, which communicates with an app, is designed with a playful approach in order to ease the child’s anxiety. And it’s made from materials that don’t irritate the skin. The future of condition management will see better solutions for more conditions (such as asthma or sleep apnea), with an aim to help people better manage their own care while encouraging proper medication usage and reducing the disposability and environmental harm of these products. Design for the future of patient diagnoses is already underway in Qualcomm’s Xprize Tricorder competition. 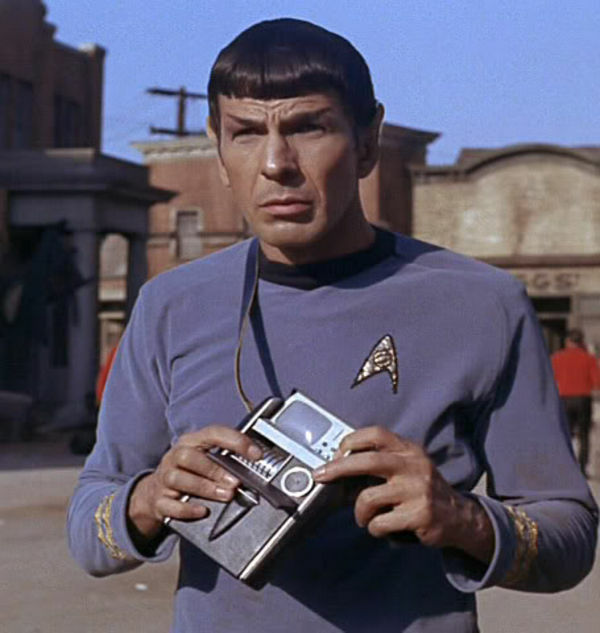 For those unfamiliar, the Tricorder is the fictional biological analytics device featured on the Star Trek TV series. This device is poised to lead to radical innovation in healthcare, allowing individuals to share highly accurate, real-time health information with their doctors. Arguably, some of the coolest strides in health tech design are happening in prosthetics, from bespoke legs to bionic arms (designer: Sophie de Oliveira Barata). The former leads to something pretty incredible: The limbs become centerpieces of positive conversation, improving the confidence of amputees, while at the same time allowing them to walk, run and play. 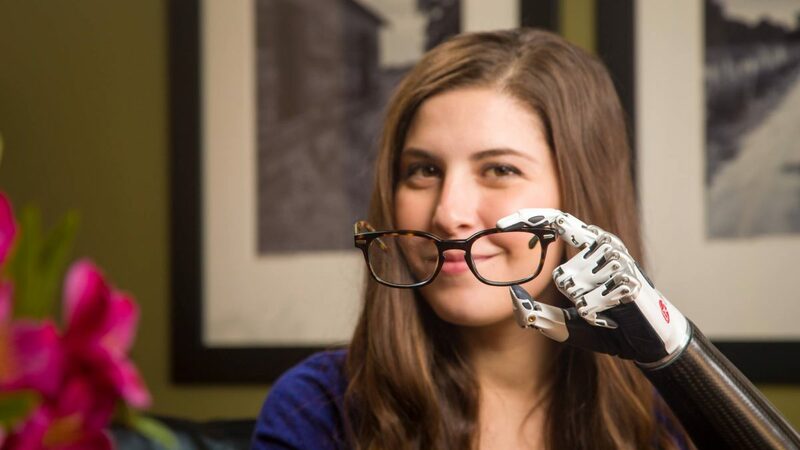 Bebionic hands allow amputees control the prosthetic limb using my-oelectric sensors that read signals from residual muscle on the surface of the skin. Wearers get close to full function and can even tie their shoes. At a cost of $11,000 each, they’re still not affordable. 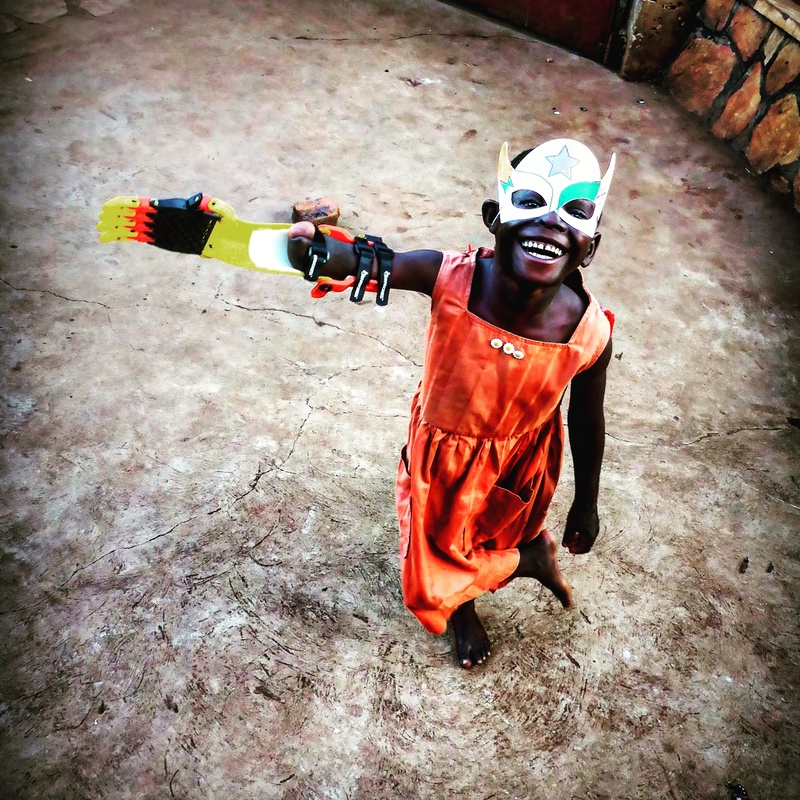 On the other end of the spectrum, there are mechanical prosthetics that are built by volunteers for children who have missing limbs. Thanks to open source designs and readily available 3D printers, they cost less than $100 to produce. In all likelihood, the future of prosthetics will be somewhere in the middle: Open source designs that are fully functional, 3D-printed and personalized. This technology could also have more practical application in the military, where instead of using real hands to defuse bombs, they might use controllable prosthetics. Health isn’t just related to what’s going on with a body: Environmental safety also plays a part. And personal protection is changing at a fast rate. 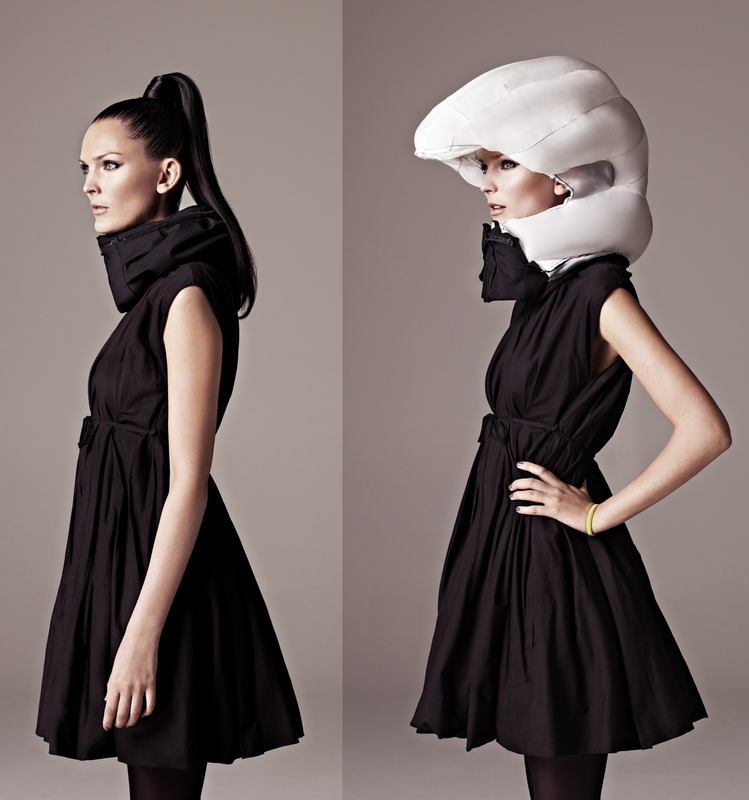 Hovding is a stylish airbag designed for urban cyclists. The helmet is hidden in a neck scarf (of sorts) and deploys only when necessary. The air cushion provides three times less G-force than what is experienced with traditional helmets on impact. It also provides a larger protected area to the head, neck, throat, and face. The Bass Fire Extinguisher, developed by students at George Mason University, uses the sound waves created on the lowest frequency to put out fires without any chemicals or water. There’s no mess, no cleanup and the method is fast and effective. Perhaps someday drones will use this technology to fight forest fires. Rather than a future with antibiotics gels and sprays, disinfectant UV lights are gaining in popularity. They’re already being used in hospital rooms, as well as in the home: Disinfecting our water, baby products, and maybe someday the bottoms of our shoes via light up doormats. The future for safety and personal protection is wide open for innovation. Future industrial designers will be designing products that will protect consumers without being obvious, all while making it easier for safety professionals to do their jobs. With all the incredible strides being made in health tech design, the landscape for the future of healthcare is full of possibilities. Designers have the opportunity to make highly personalized devices that will reduce hospital visits and lower medical bills. These incredible products and the ones to come after have the potential to not only save lives, but also help people to live longer and to the fullest.